Divorce is far from rare. The Texas Department of Health Services reports that there are more than 75,000 divorces in the state each year. Despite being relatively common, going through a marital separation is never easy for the couple that is involved in it. Every couple has its own unique set of challenges that must be overcome. For business owners, divorce can be especially complicated. Simply put, dividing a business in a divorce is hard. It is crucial that business owners take action to protect both their personal financial interests and the health and viability of the company. 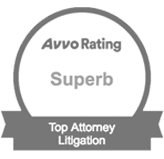 At this time, it is imperative that business owners consult with a top Texas divorce attorney who has relevant experience. In dealing with business and divorce, the very first thing that you need to do is to determine if your business interests qualify as separate property or as community property for the purposes of Texas law. Under Texas law (Texas Family Code Sec. 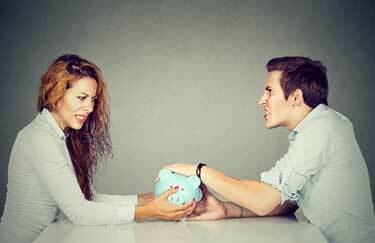 3.001), separate property is property that was owned or claimed by a spouse prior to the start of their marriage. Community property (joint property) is all of the property that was obtained or claimed after the start of the marriage. With limited exceptions, separate property generally stays with the original owner. In other words, separate property is not subject to the asset division. That being said, each spouse will have an equal claim to the value of the community property. To deal with property in a divorce, you need to know the fair market value of the asset. Early on in your divorce case, it is highly recommended that you get a comprehensive valuation of your business interests. This is especially important if your business is community property. Make sure that the true value of the business is taken into consideration, with all assets and liabilities being fully accounted for. It should be noted that the increase in value of a business can sometimes qualify as community property even if the business itself is separate property. For example, if one partner brought a $100,000 business into their marriage, that business is separate property. If ten years later — when they get divorced — the business is worth $150,000, a portion of that increase might qualify as community property. This is a simplified example, and a number of different factors will affect this type of determination. To get to the desired result in a family law case, you first have to know exactly where you are going. In complex property division cases, you are not going to stumble into success; there are simply too many things that can go wrong. When determining how you should handle your business in your divorce, you need to clarify your desired outcome. Buy your spouse out of the business, thereby taking full control of your collective business interests going forward. Try to cash out of the business, thereby letting your spouse take full control over your shares of the company. Sell the entire business with your spouse, splitting up the proceeds. Agree to work with your spouse, each keeping an ownership share in the company. What is the best option in your case? It depends on a wide range of different factors — from your current financial status and your desire to stay in the company to your ability to get along with your former partner. You should obtain professional guidance. 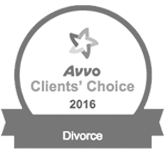 Not only will your Austin, TX divorce lawyer be able to help you assess the benefits and drawbacks of each option, but he or she will also be able to help you take action to achieve your goals. At the Law Office of Ben Carrasco PLLC, our Austin, TX divorce lawyer has deep experience representing business owners in divorce. If you are getting divorced and you own a company, or your spouse owns a company, you need a top-rated legal advocate by your side. To arrange a fully confidential, no obligation legal consultation, please contact our law firm at (512) 320-9126. 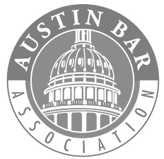 From our law office in the heart of Austin, we serve business owners throughout the region, including in Travis County, Williamson County, Burnet County, and Bastrop County.